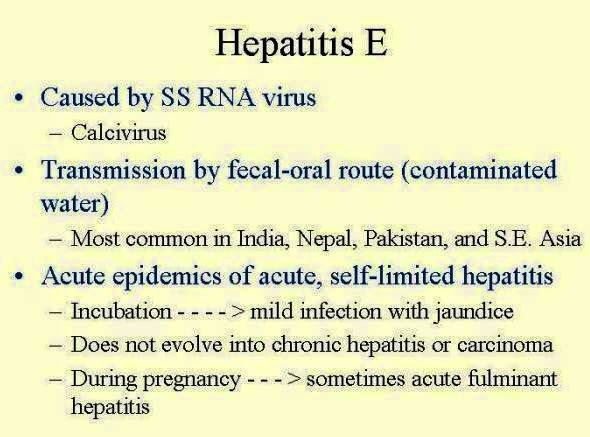 How is hepatitis E spread? Hepatitis E is spread through food or water contaminated by faeces from an infected person. This disease is uncommon in the United States. Who is at risk for hepatitis E? How can hepatitis E be prevented? There is no U.S. Food and Drug Administration (FDA)-approved vaccine for hepatitis E. The only way to prevent the disease is to reduce the risk of exposure to the virus. Reducing risk of exposure means avoiding tap water when traveling internationally and practicing good hygiene and sanitation. Symptomatic Homeopathy works well for Hepatitis, So its good to consult a experienced Homeopathy physician without any hesitation.